I'm not a violent person on the surface. The times I've thought I could really attack someone has been in defense of a defenseless child or animal. I remember my childhood slingshot brigade organized to combat a dairy farmer who sold newborn calves for veal. And a woman at the zoo, who gave her baby an open-handed slap for crying. We could've all gone to jail if my husband hadn't been a calming influence and held the baby until she laughed and touched his nose with a drooly fingertip. That's why I have so much respect for the SWAT teams of the Humane Society. They go by the law and get the job done WITHOUT violence. If you're planning a career involving animals, you might explore the HSUS. Usually when I write to you about a wonderful wild stallion, I'm talking about the Phantom, but another great range stallion found himself chronicled in ways humans could appreciate him before I even knew there was a real Phantom. I hope you'll read this letter, written by Cloud's soul-mate and biographer Ginger Kathrens. As you do, ask yourself what you can do to help! I will be at the June 15th hearing in Sacramento. If any of you want to join me, please let me know and we'll get together. Today is Cloud’s birthday – fourteen years ago he tottered out of the trees with his mother in front of my camera. Now Cloud is one of the most dominant band stallions in the Pryor Mountains. Unfortunately I am writing with some less than festive news to mark the occasion. The Bureau of Land Management has issued their Environmental Assessment and Herd Management Area Plan for Cloud’s herd in the Pryor Mountains. Despite all of your comments requesting that this herd be managed at genetically viable levels, BLM has only raised their allowable herd number from 95-105 up to 90-120 horses over one year of age. There are currently around 200 horses on the range over one year old and reducing them to this number would require a round up in which some 80 horses would lose their families and their freedom. The round up is scheduled for August 30th of this year. Allowing this HMAP to stand as is would result in the ultimate destruction of Cloud’s unique Spanish herd. 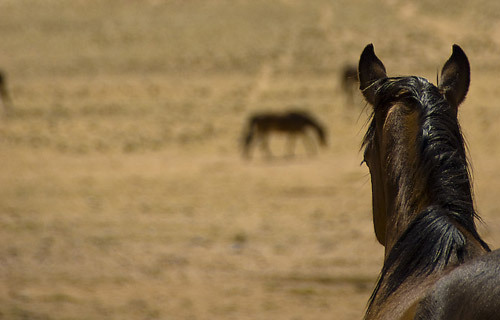 To further suppress the population virtually all the mares returned to the range would be given a two-year contraceptive drug– the effects of which are still being studied in the wild. Additionally, the Custer National Forest has plans and money in place to rebuild the fence across one of the high subalpine meadows in order to keep horses out of the Forest Service lands (an area they’ve grazed and lived in for several hundred years). The Cloud Foundation will be appealing this action legally and we hope to stop the building of this fence and the hazing of the horses by helicopter out of their home. 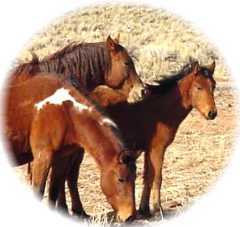 Under the Wild Horse and Burro Act of 1971, these animals must be protected where found (in 1971); however the Cloud Foundation has never had a day in court to prove that the current range boundaries are not representative of the horse’s historical use area. Please trust that the Cloud Foundation will be doing our very best to legally stop the building of this fence and insure a viable future for the Pryor herd. We will keep you updated on what you can do to protest these recent decisions and continue to work for the freedom of all wild horses. Please continue to lobby your Representatives to pass H.R. 1018, the Restoring our American Mustang (ROAM) Act. We hope this Act will be voted on in the House soon and move quickly to the Senate. Another opportunity to stand up and speak for the preservation of our wild herds is the National Wild Horse and Burro Advisory Board meeting on June 15th in Sacramento, California. Please join me there on behalf of our wild horse and encourage any friends you have in the area to come as well. Please continue to support our wild horses and the Cloud Foundation—with a massive round up on the horizon and the Forest Service’s desire to banish the horses from their home, we need you to stick with us. My birthday wish for Cloud is the same this year as every year: May you live your life with your family in freedom. Hope for Horses -- go Madeleine! Want to experience that soaring feeling of great possibilities? Watch this news clip featuring an interview with Madeleine Pickens and some great wild horse photos (love that Quarter Horse built colt near the end) Wild Horse news. In fact, watch it twice and really listen to her plans for a sanctuary in NORTHERN NEVADA! Yee haw! I am going to lobby everyone I can to make sure there is a YOUTH component to make this dream come true! HI -- Besides meeting lots of great fourth graders Wednesday, I got to hang around with Little Bit (sorry you can't see the angel marking on her barrel more clearly in the photo above), Thunder and Nevada Blue, three adopted mustangs. Their adoptive "parents" are the organizers of the Wild Horse and Burro Expo in Reno, Nevada. If you happen to be in the area Aug. 21-23 you'll be able to see more amazing mustangs than you can believe! And if you ever again hear anyone talk about scrubby wild horses that aren't good for nothin' --- you'll be able to tell them how totally wrong they are! Today I'm doing a school visit at Silver Springs school at the edge of the Phantom's old territory. Lucky students get to rotate among workshops -- one with two wild horses, one with a wild burro, one with different kinds of tack and horse care stuff, and me! I get to hear book reports (some on my books ; how cool is that!) and talk about wild horses. You all have inspired me to bring some of my foreign language editions along, too. After that, I'll be stopping by Kickin' Back Ranch (home of Wild Horse Mentors) and the Retzer family ranch to deliver thank-you cookies for help all of those folks have given me doing lots of stuff for wild horses. I'll talk with you later. Don't forget you only have a few more days to order Cowgirl Chocolates to benefit the Wild Horse Sanctuary & the same number of days to sign up to get the Phantom Stallion newsletter the instant it comes out! Every day I hear from caring people who want to protect horses from cruelty. One of the best, easy-to-use websites is AMERICANS AGAINST HORSE SLAUGHTER. There, you can sign a petition, read the hard facts about what happens to race horses, find links to other humane-toward-horses websites and pick up some toll-free numbers to call legislators who can only speak with your voice if you tell them how you want to be heard. Make sure to use the slide bar at the bottom to go allll the way to the right! I've been getting lots of notes from readers telling me that FARAWAY FILLY made them cry, but not one tells me why. I know why this Hawaiian horse story touched me, but what do you think makes FARAWAY FILLY an emotional tale? Say HI to Chilly & Newsletter! June's newsletter is going to be great. It will announce an online party -- prizes -- a project we can do together -- more about my two new website pages -- and of course Sam's blog. HI -- Have you noticed there are two new pages on PhantomStallion.com? By reader request, here's another PHANTOM cover from another country. Which book is this and which language would you have to know to read it? Some of you know that I'm very interested in prison programs which match prison inmates with captive wild horses. Both are incarcerated, but both have lots to offer each other. For those of you who like good writing, check out this article's details. I loved this tidbit: nervous neighbors spotting "escaped" inmates who were actually searching for 14 mustangs that slipped out in the night. If you haven't made summer plans and want to do something EXCEPTIONAL -- take a look at Earthwatch's Teen Team programs. Some of you might remember that I went on an Earthwatch expedition last May to observe and document the behavior of wild horses. It was hard work, but I learned a lot about the scientific process and helped the horses, too. The Teen Teams go all over the world, biking through France to help endangred birds, studying the wild life of Central Park in New York, helping preserve an ancient fort in Rome, leatherback turtles, dolphins -- and this is all vital research to help your planet. you'll see (at the bottom of the page), that some expeditions have a competitive fellowship/scholarship program, too! Even if you can't go now, maybe you can start an expedition fund! How long do they have to live in our neighborhood? All I'm sayin' is this : if a creature's lived in my part of the world for 11,000 years, I consider it native! That's why, next time someone tells me that wild horses are not native to North America & so don't qualify as an American icon, I'll mention that a distinguished team of worldwide experts (see below) examined fossils of horses from the Pleistocene era and found them identical to our modern horses. Now, I'm trying to come up with a way to memorize the list of countries the scholars represent. Any study tips from you all? The answer to the cover challenge I gave you on Monday is : FREE AGAIN! 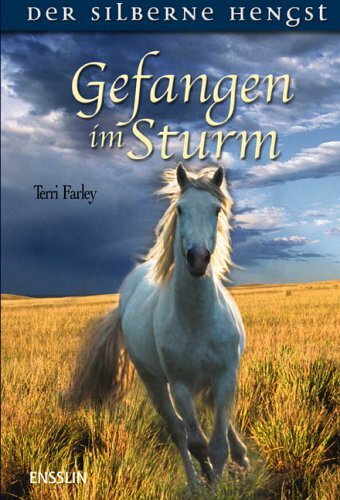 There's a storm at the end of that one, too, but I love the way you all used your knowledge of the stories, then linked them to the German titles to figure things out. That's pretty advanced thinking, y'all! So, I'm giving you a second challenge. Which book do you think the photo above portrays? Don't you love the way you can see through the stallion to the country he's galloping through? Texas is on the verge of toughening penalties against horse rustlers and cattle thieves through a bill which would make stealing a horse or cow a third-degree felony punishable by up to 10 years in prison and a fine of up to $10,000. 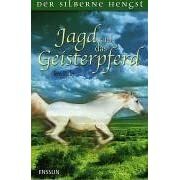 I think the German covers of my books are wonderful and I wanted to share! Below is a cover from the original PHANTOM STALLION series. Which title do you think it is? Q: Are horses related to any animals besides equines? A: Horses are more closely related to BATS than they are to cows according to scientists at the Tokyo Institute of Technology. The proposed sub-order Pegasoferae includes horses, cats and dogs,bats, cows, whales and hedgehogs. According to DNA research, all these animals are cousins & share a common ancestor. Q: Do horses like pizza? Q: How are the horses rescued from the Nebraska rescue ranch doing? Q: Do you know how much a horse COSTS? A: Starting NOW, BLM will pay YOU $500 to adopt a mustang that's four years old or older if you live in New Mexico,Texas, Oklahoma and Kansas. Yes, I'm a day early with the MD greetings, but I'm spending the weekend with my dad and won't be online as much as usual. Still, didn't want to miss any of the mommies that read my blog and I figured a reminder to some of you good "children" wouldn't hurt, either! Going for a long walk with my dad and without Zito (too many distractions in a strange place, including SQUIRRELS! ), so I'll talk to you later. This is the Vivid Dancer Damselfly, newly crowned state insect of Nevada! Congratulations for its nomination goes to Mr. David Slater's fourth grade class at John R. Beatty Elementary School, in Las Vegas. Be sure your sound's turned up. The tinkly music is a plus! Happy Cinco de Mayo, amigas & amigos! Katrina from Colorado is right! These horses are Knabstruppers, and though they share some genes with the Appaloosa, they evolved on the other side of the world! The photo was borrowed from Knabstruppers.com. You can visit their website to learn more about this fascinating breed. At least, not what I thought! These are a few of the horses seized from the Three Strikes Rescue Ranch. >12 hours later, HSUS' team of equine experts rushed to Alliance, Neb. >Once there, the HSUS secured horse trailers, medical supplies, food, and sheltering supplies to care for emaciated, hollow-eyed mustangs so weak, some could not make their way to the bales of hay. > The fragile mustangs were sharing their pasture with 60 carcasses of horses who had likely starved to death. >The 200 surviving animals were moved to a temporary home at the local fairgrounds. I'm so glad these horses have been rescued. This time for real. I hope those who saved the remaining horses -- the animal rights attorneys, the lobbyists, and activists -- inspire you to acts of kindness. If you've never thought of studying for those jobs, start now! If you're a subscriber to my newsletter, you'll be getting a new one this morning. I think it's pretty cool that I've been named a COWGIRL OF THE MONTH! If you haven't signed up for the newsletter yet, here's where you can do it: Subscribe to PHANTOM STALLION newsletter! 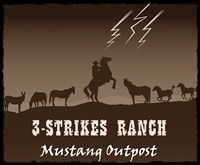 My newsletter also features updates on the disaster at Three Strikes "Rescue" Ranch.